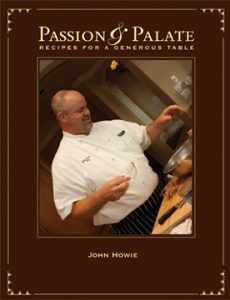 Chef John Howie's cookbook Passion & Palate is a collection of stories and recipes from Chef John Howie. The chef/proprietor who brought you the Award winning restaurants, Seastar Restaurant & Raw Bar, John Howie Steak, SPORT Restaurant & Bar, Adriatic Grill, Italian Cuisine & Wine Bar, and the culinary website plankcooking.com, now shares his creative culinary exploits with you. The man behind this refined palate is a generous, conscientious community-builder, business and personal mentor, and thoughtful family man, who leads from his heart and lives to serve others - guests, employees, family and those in need. Passion & Palate will excite the senses with over 240 recipes, and 88 full color pictures. The recipe range is very eclectic with everything from some of Chef Howie’s best plankcooking recipes, to amazing soups like the ever popular “Hot-n-Sour Thai Shrimp Soup”, seasonal salads, fresh salmon, halibut and other fin fishes, grilled and planked beef and pork, to seasonal pastas, and Lobster Mac & Cheese, tropical ceviche and poke, and maki style sushi. All recipes were tested by over 350 home cooks. So you can be assured that these recipes will work in your home kitchen. This cookbook is a culmination of my dream to bring exciting cuisine to the homes of my restaurant guests and fans. Enjoy! Passion & Palate is a full-color, hardbound book, printed on fine-quality coated stock, featuring beautiful color photography and over 100 of your favorite recipes. Available now, $42. 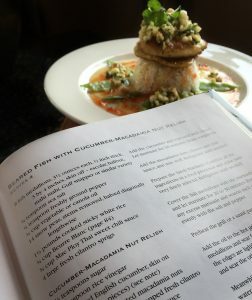 Meet chef John Howie and have him personally sign your books. Thank you for your continued support and we all look forward to celebrating with you. "I am making the Sea Bass again this week for a very good friend... they might suspect Chef Howie is in my kitchen!" "The Black Beans, Mango Salsa and Cilantro Rice were wonderful and very easy to make." "I prepared the Halibut with Provencal Asparagus last night. YUM!" Order your copy of Passion and Palate here!